Piedmont Arts is a nonprofit art museum and educational outreach center that facilitates ongoing enrichment of the lives of the people of Martinsville, Henry County and the surrounding area, through positive exposure, education and experiences in the visual and performing arts. A part of the Martinsville-Henry County community for over 50 years, Piedmont Arts provides exciting On Stage! performances, thought-provoking exhibits and quality educational outreach to local schools, as well as special events to improve the quality of life of residents in Martinsville and Henry County and surrounding. Through these efforts, Piedmont Arts also contributes to the economic, educational and cultural vitality of our community. Piedmont Arts is open Monday through Friday from 10 am  5 pm and Saturday from 10 am  3 pm. Admission to the Piedmont Arts galleries is always free of charge. The birthplace and boyhood home of R. J. Reynolds who founded the tobacco company bearing his name. The 19th century restored home is a national and Virginia historic landmark. 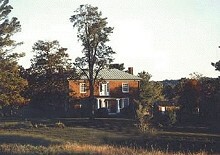 The Reynolds Homestead Learning Center and Reynolds Homestead Research Center are located at the site and are extensions of Virginia Tech. The Reynolds Homestead also offers a variety of performances and art exhibits throughout the year. Allow 25 minutes to reach from Martinsville. Located off Highway 58 west in Critz, VA.
Arts at the Rives Theatre (ART) is a community nonprofit in Martinsville, Virginia, dedicated to preserving the historic Rives Theatre by offering high-quality musical, educational and artistic programming. This volunteer-run organization, which operates under the umbrella of Rooster Walk Inc., is devoted to transforming the Rives Theatre from a movie house into a live-music venue and a community space for arts and education. The Rives Theatre was formed in 1932 as a playhouse, then later enjoyed more than seven decades of success as a first-run movie house. Now, the movie theatre has been transformed into a live music venue. Standing room capacity: 275. Seated capacity: 250. There is a dance floor in front of the stage and roughly 180 permanent seats in the room. 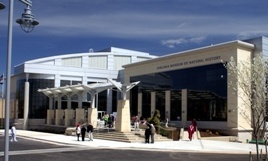 The Virginia Museum of Natural History is the state's natural history museum. Founded in 1984 as a private foundation, the museum became a state agency in 1988. The Virginia Museum of Natural History is a place where scientific research about the Commonwealth of Virginia's natural history and public understanding merge. Exhibits, education programs for all ages, and publications translate the museum curators' scientific research into easily understood language and concepts. The mission of the Virginia Museum of Natural History is to interpret Virginia's natural heritage within a global context in ways that are relevant to all citizens of the Commonwealth. The museum features award-winning exhibits, groundbreaking scientific research and collections, education programs for all ages, an expansive library, fun family festivals, and spectacular events. Visitors can complete their visit in the Museum Store and the PALEO Cafe. The museum is open Monday-Saturday from 9 a.m. to 5 p.m. The museum is closed on Sundays, as well as Thanksgiving Day, Christmas Day, and New Year's Day. Admission is: Adults $9; Seniors and College Students $7; Children and Youth 3-18 $5. VMNH members and children under 3 are free. 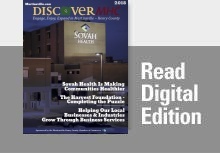 Call 276-634-4163 or visit www.vmnh.net for group rates and more information.